Nick Fernandez was born in Columbia, MD. He is a 2002 graduate of Wilde Lake High School and a 2006 graduate of The University of Maryland in College Park, MD. Nick received a Master's in mechanical engineering from the University of Maryland in 2008 at the Center for Environmental Energy Engineering. Nick’s master thesis studied the performance and oil retention characteristics of a CO2 heat pump water heater. 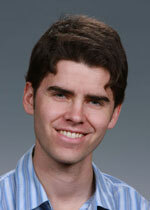 Nick began working for PNNL in 2009 in the building energy systems (BES) group. He has worked on a variety of projects, including commercial building retuning, residential building energy codes, community-scale net-zero energy systems, and self-correcting controls for HVAC systems. Most of his work involves using EnergyPlus to model prototype or existing buildings to understand opportunities for energy savings.